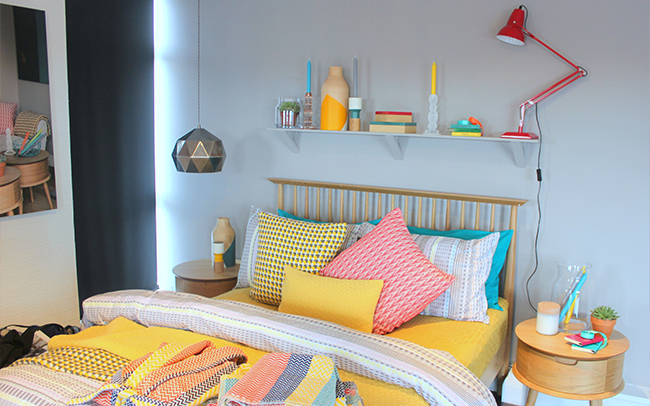 This week, I headed down to check out House of Fraser's AW15 home & fashion preview. Just when it's getting to summer and we're all wearing our shorts, brands like to think about the colder months, we know, it's crazy. Let's see what she had to say about the day! I thought I'd share some snaps as a little sneak-peak at what's to come from House of Fraser towards the end of the summer. First up, let's talk home ware! Now, I'm a self-confessed interiors addict, I'm always re-styling my shelves and moving things around in the house. The Press Show Rooms were set up like little rooms, perfect for really showing you what the pieces can do to transform a room. This range was my favourite! 'JUXTAPOSE' was all about bright colours, natural woods, wire work and geometric shapes - it was right up my straza. The collection was, in my opinion, perfect for every room of the house, they even had mugs and tea towels in the cool prints. Prices start from just £12. 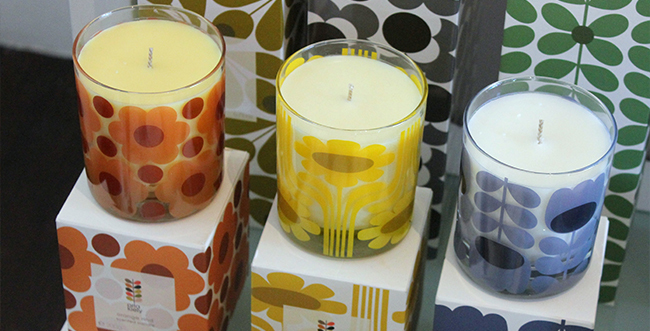 Check out these super-cute Orla Kiely candles! 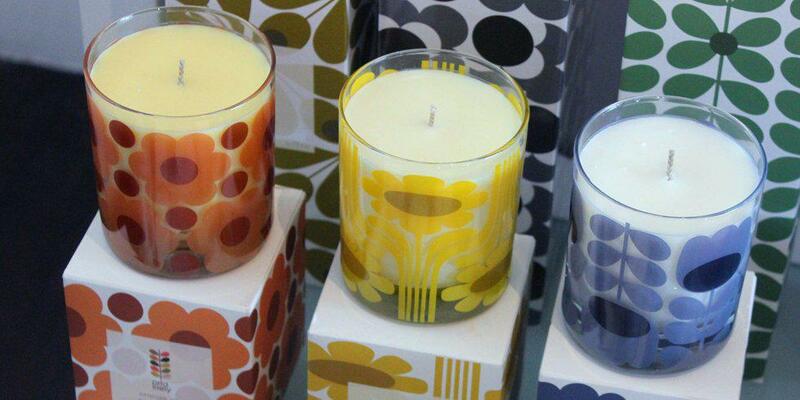 I'm a sucker for anything Sixties-inspired. There were at least 5 different ranges based on bedrooms, my second favourite was the 'Living' by Christiane Lemieux. This was a more luxurious range, it was similar to the colours of 'JUXTAPOSE' but with a more grown-up feel and loads of tropical elements thrown in. Incase you didn't know, pineapples are massive and they're going to be even bigger next season. 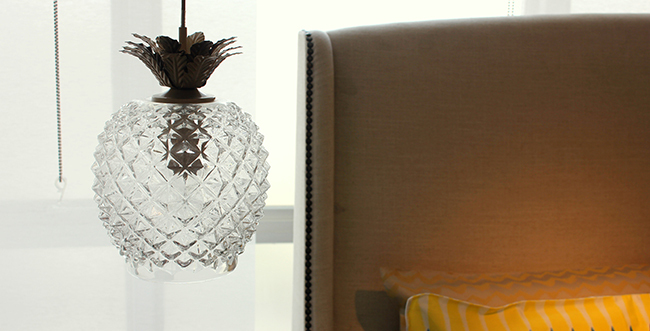 Just check out the 'Zeus' pendant lamp below! From home ware, I moved upstairs to the fashion section. First up, menswear. I checked out the suits first, there were some pretty snazzy numbers. I'm sure some of you guys would be up for rocking the floral or the bright blue get-up! These start at £200, an awesome price for a quality suit. There were so many textures and patterns going on in the Heritage section with some cool brands like Ted Baker and an awesome Land Rover & Barbour collaboration. Moving on to womenswear, I was loving all the leopard print from Biba! There was so many statement accessories, I didn't know where to look. If you think that faux fur is popular at the moment, just wait until AW15, fluff is really going to go OFF. Check out my favourite selection that I snapped on Instagram! Just look at that multi-coloured Helen Moore scarf in the background - it's pure amazingness. Paired with those metallic shoes, this was accessory heaven. A classic camel overcoat will never go out of style, this Linea piece was fab. 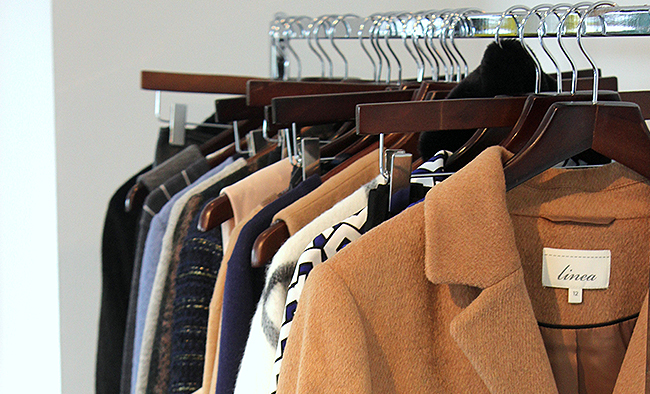 Overall in this collection there was a lot of navy, royal blue, cream, grey and camel. This colour palette is so easy to wear, I was loving it. I fell a bit in love with this 'Gray + Willow' checked overcoat too! 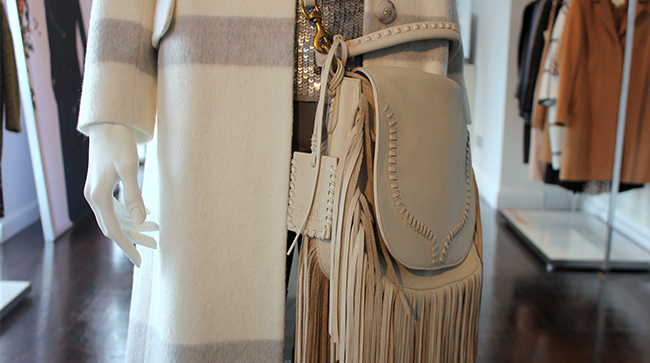 It looks amazing with the fringed leather satchel bag. Creams for Autumn/Winter always look so pretty against grey city backdrops. Hopefully you liked this little insight into my trip out! 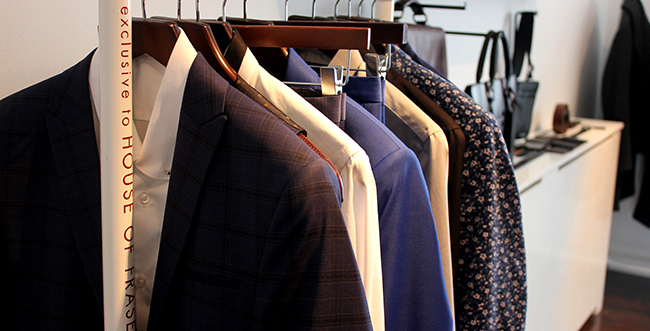 Let us know what your favourite pieces are in the comments.